Often I go to media/blog events in between work or after work, which doesn’t give me much time on change. If you see me on public transit en route to work, I’m 99% of the time in sneakers, jeans, and some form or hoodie or sweater (now that it’s fall.) However, when I DO have somewhere to go, I will be pulling hair out of my head the night before trying to decide what to wear. Do I sacrifice looks for warmth? Can I just wear sneakers with this dress and look stubby, instead of trying to trot in heels all day? 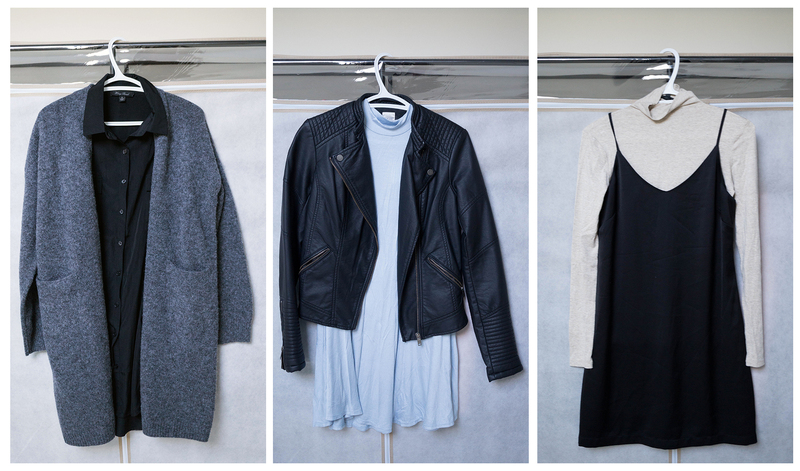 After changing around my wardrobe for the colder season, I came up with some ways to layer with a dress but still stay warm. One of my favourite dress combinations from last year, which I didn’t have many chances to wear out, is the slip dress. I bought both of these from Dynamite. This is such a 90’s thing, and sadly I was dressed like a loser around the 90’s – there’s incriminating photos of me wearing waterproof (with fleece lining) pants and a hoodie. I guess it’s time to make it up when I’m in my later 20’s! I’m currently hunting for more dresses (Quiz Clothing has some great options! )* for my company Christmas party- any suggestions?? Do you like wearing dresses when it’s a bit chilly out still, or it’s all sweatpants and leggings from here on now? Disclaimer: This post contains products that were sent. Sponsored links are marked with ‘*’.